I hereby confirm that the personal data I am submitting to PETER-SERVICE, JSC is accurate and grant PETER-SERVICE, JSC and its duly authorized representatives permission to process it for purposes of providing me with the Report «Nexign BSS: Product Assessment Report by GlobalData» and for statistical purposes. 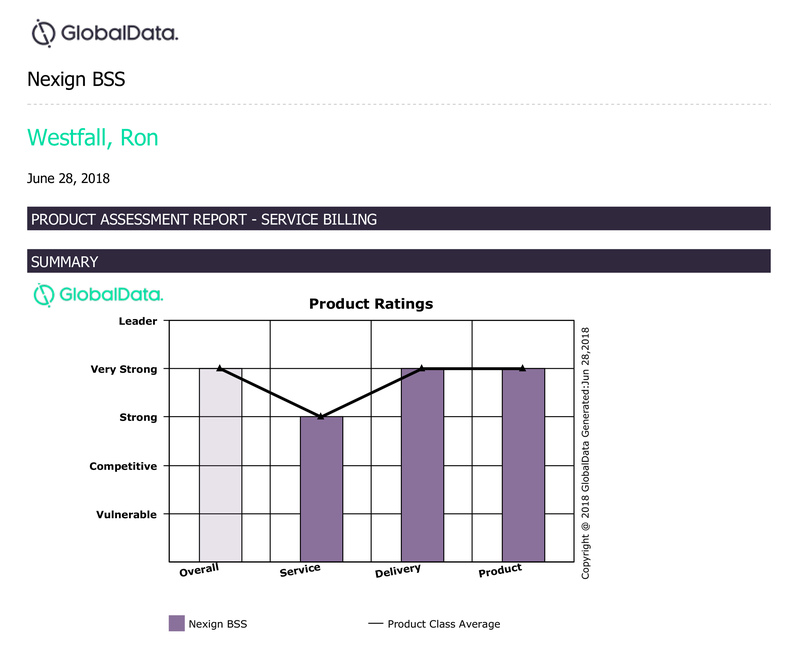 Nexign is rated “very strong” in the BSS market by GlobalData’s Product Assessment Report. The report describes Nexign Digital BSS as a driver for digital transformation among CSPs. Nexign’s best-in-class focus on revenue-stream diversification, analytics-based decisions, business-model agility and optimal price performance were among the deciding factors behind this assessment. CSPs are accelerating adoption of cloud-based billing systems to inject agility into their procedures and presentations, lower upfront costs and automate BSS processes. Nexign Digital BSS addresses key industry themes such as IoT, 5G, MFS, Blockchain, importance of partnership ecosystems and delivers the cloud-native billing capabilities operators require to reduce reliance on inflexible subscription models and legacy manual billing processes, providing more flexible service package choices, real-time digital interactions and continuous billing capabilities. Over the last 26 years, Nexign has consistently demonstrated its ability to deliver pragmatic, business-focused innovation to its clients. We were very pleased with the results of GlobalData’s analysis of our Digital BSS, positioning us as “very strong” and equal overall against some of the global market leaders. As we continue our aggressive international expansion in 2018 in the Asian, Middle East and African regions, we believe that this report ratifies the innovation direction and delivery capabilities of our Digital BSS as well as the importance of our focus on TCO optimisation and open architecture frameworks, which are essential for CSP’s seeking to become DSP’s.